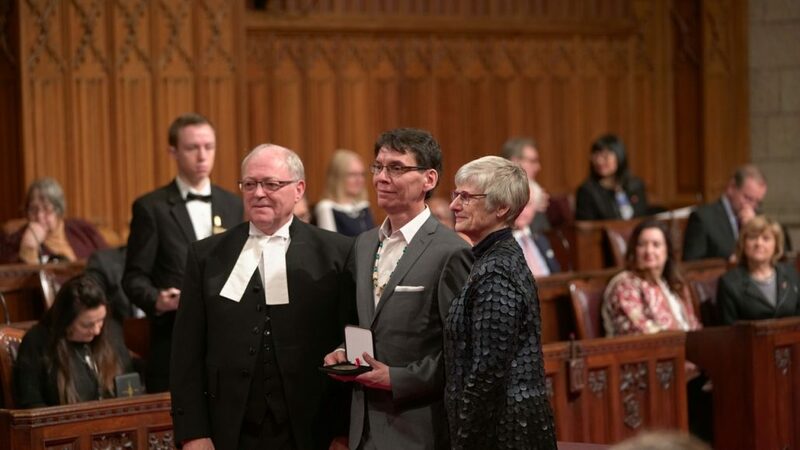 Camerata Nova artistic director Andrew Balfour was awarded the a Senate 150th Anniversary Medal from Senator Pat Bovey during a ceremony in November in Ottawa. The medal is awarded to “Canadians whose generosity, dedication, volunteerism and hard work make their communities a better place to live.” Congratulations, Andrew! Andrew Balfour receives award from Senator Pat Bovey.